Here at the Alberta Storage Group we work with our bookkeeper Whitney Hall every day to make sure things are in order and she has been a lifesaver to us. We call her Wonderful Whitney. Whitney has done work in the field of accounting, banking and bookkeeping for many years and she has seen people struggle with finances and taxes. It doesn’t have to be that hard! 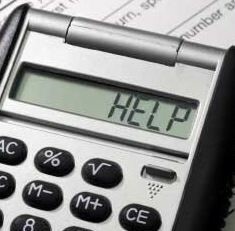 Here are her pointers on how everyone can save time and money when it comes to taxes. 1. Did you know that Canada Revenue Agency (CRA) requires you to retain documents related to your taxes for 7 years? (The year you are in plus 6). Keep all those tax files in a file box and if you don’t have room for all those boxes think about using a self-storage facility to hold those boxes for you. Take The Junk Drawer Challenge! Is your junk drawer a landmine waiting to explode? Let’s get this small spaced organized and see who can come up with the best organized drawer. Back last spring our manager in Lacombe, Sue Sage, shared her best drawer treatment by using a utensil organizer to get a handle on the make-up drawer in the bathroom. I used this same idea to get my kitchen junk drawer organized once and for all. Here’s what I learned from doing my own junk drawer challenge.